Observation - Cedrus - UK and Ireland. 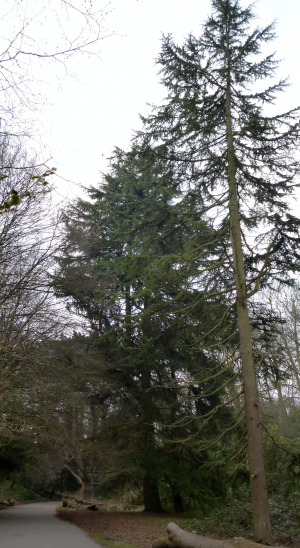 Description: Group of three Cedars growing along woodland walk. Group of three Cedars growing along woodland walk.